Being a wife and mom is hard. I know we all need encouragement at times. So I wanted to share with you this wonderful post I found. You might want to read this daily!! 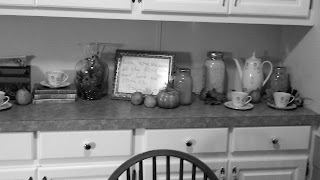 Brittany's blog is full of inspiration!! 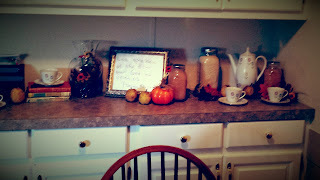 Fall Decor with Zero budget! Don't you just love the colors of Fall! The earthy tans and browns the golden hues of leaves, & of course pumpkin orange. Fall is one of my favorite seasons. 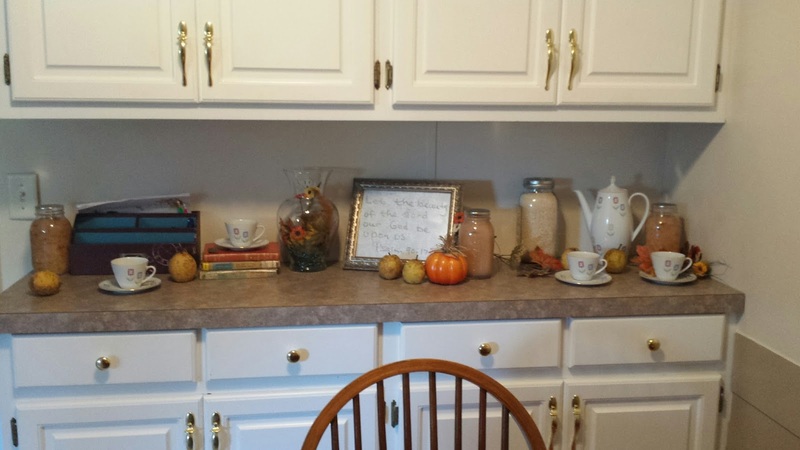 I love to decorate for Fall but purchasing anything is just not always in the budget. I have the same decor I'v had for the past 6 or 7 years. I wanted something different, so I had to get creative. My girls drink hot tea occasionally! So we have a tea set. It has been taking up one end of the counter and I knew I needed to work it into the Fall decor but I was tired of looking at it. 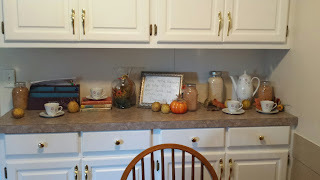 So I had to figure out how to get a cozy fall look while still using the tea set. Also by spending no money at all. I already had everything in the picture. The half gallon mason jar in the back is rice. That is how I store my rice. Then the quart jars are pear jam that I canned about a month ago. The tea set and some old books from our bookshelf. The whole fruit is pears that I still need to put up. I still have a bucket and a half. Yeah this is real life! 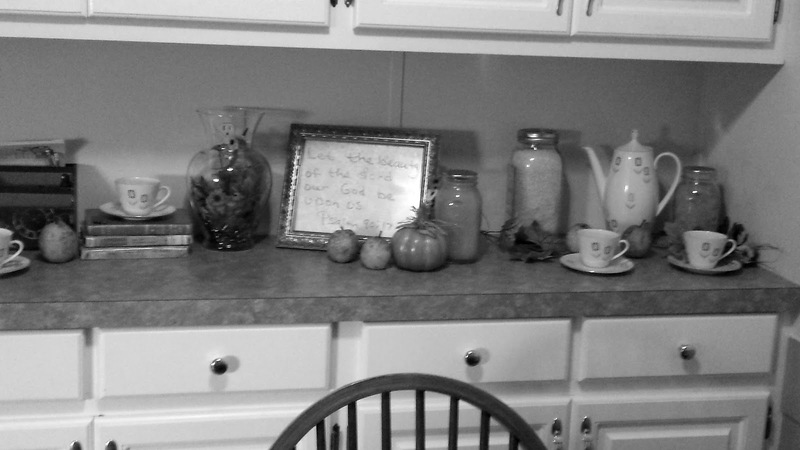 I already had the fall leaves and pumpkins and the dry erase is a picture frame with a piece of scrapbook paper cut to fit inside. I wish I had thought to take a before picture. So how do you decorate and spend little to no money at all? I started playing with the settings on my phone. I thought I'd share these with you just for fun! I am a blessed wife & mother of three precious girls. We are a homeschooling family, who love learning. As I embrace this season of life, I want to share what I have learned along the way. I love the Lord & desire a closer walk with him each day. My vision is to be an encouragment to you as you walk this road. Whatever God has called you to.